A Silicon Valley startup known for chewable coffee and human “superfuel” is updating its product lineup with fresh ingredients informed by the latest science. Last year, the company (called HVMN) teamed up with Oxford University to create a ketone drink used by elite cyclist Vittoria Bussi to break a global cycling record. HVMN told Business Insider that the science behind that work also informed their refreshed line of so-called “smart drugs” – pills designed to help with focus, energy, and sleep. A tech startup whose employees chew their coffee, regularly abstain from food for up to 36 hours, and prick their arms with devices designed for diabetics is getting serious with science. HVMN began with a focus on self-experimentation. Using an approach that some call “biohacking,” its employees played around with small tweaks to their daily lives to improve productivity by drawing on examples from scientific studies. That was in 2014, when the startup was known as Nootrobox. Beginning last fall, the company began to focus even more sharply on peer-reviewed science as part of an effort to dig deeper into health and performance. In 2017, HVMN partnered with researchers at Oxford University to leverage $US60 million worth of research on the performance of elite athletes and US military members. The end result was the first commercially-available human fuel source that doesn’t come from carbs, fat, or protein. Called Ketone, the clear bottled liquid may have helped elite cyclist Vittoria Bussi set a world record for one of cycling’s oldest challenges, called “the hour,” this September. HVMN’s partnerships with some of the world’s leading researchers has now begun to inform its other products, which includes a line of daily pills designed to enhance mental and physical performance, Geoff Woo, the company’s co-founder and CEO, told Business Insider. On Thursday, Woo and his team re-launched the line of products they debuted three years ago: a set of four “smart drugs,” or nootropics, that are designed to help with sleep, energy, and focus. Formerly called Nootrobox, the pills will now be labelled HVMN Performance Supplements. Along with the label change, the drugs are also getting an ingredient makeover using data and feedback from athletes and members of the US military. As a field, nootropics is still in its early stages, but the substances researchers are studying include everything from caffeine to l-theanine, an amino acid found in tea. As an industry, nootropics is booming, with one estimate suggesting it would reach $US6 billion by 2024. Woo explained that for the past several years, most research into nootropics has focused on older people, looking at how substances like ginkgo biloba could help reduce age-related cognitive decline. But recently, there’s been more research on healthy young people, which is HVMN’s target audience. As that new data has come out, “we reflect that into our products,” Woo said. 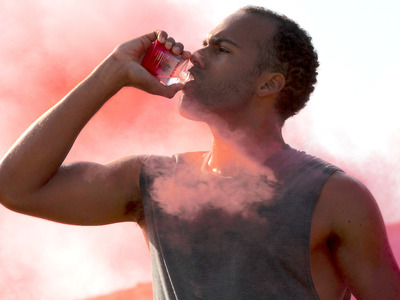 HVMNHVMN’s refreshed line of ‘smart drugs’ for enhanced performance. HVMN’s partnerships with athletes like Bussi has led the startup to refine its products with a focus on biomarkers – measurable indicators found in blood or saliva of whether a substance is having an effect on the body, Woo said. “It’s gotten a lot sharper in terms of focusing on compounds that have quantitative biomarkers that people care about and building products that are the best for that,” said Woo. As Woo and his team were working on ketone, they began asking athletes and military members for feedback about the various other compounds they were using to help boost or sustain their performance. At the same time, more nootropics studies focused on their target population of healthy young adults began to emerge. So the team began tweaking its products and updating them publicly in a Reddit forum it calls the “changelog.” Eventually, those tweaks became significant enough for the startup to formally announce the changes and rebrand the lineup. “The way we think about it is there’s this ever-expanding list of literature, so many of the ingredients we updated were based on recent studies in healthy young adults,” Woo said. 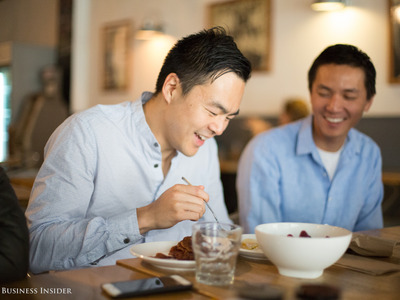 Melia Robinson/Business InsiderHVMN co-founder and CEO Geoff Woo (L) partakes in a regular break-fast with a group of coworkers and friends who practice intermittent fasting for increased well-being and productivity. The kind of granular scientific data that goes into each of HVMN’s products is rare for a company in the wellness industry, which encompasses everything from mental health to athletics. But Woo sees HVMN as distinct from most such companies. The four nootropics they sell are called “Rise,” “Kado-3,” “Sprint,” and “Yawn.” Designed to be taken in relative order each day, each pill purports to help with everything from a boost in energy levels (“Rise” and “Sprint”) to improved mood (“Kado”) and sleep (“Yawn”). Together, they sell as a subscription for $US99 per month or $US25-35 individually. Next to each supplement, HVMN provides a list on its website of the ingredients as well as the published scientific evidence behind it. 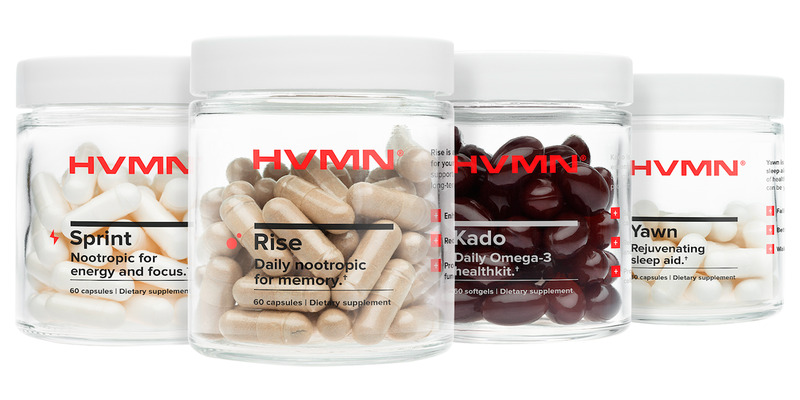 Under “Rise,” next to the herbal ingredient bacopa monnieri, HVMN lists improved memory as a possible effect and links to a well-designed, peer-reviewed study of human subjects conducted over three months. The “Rise” pill used to include an ingredient called rhodiola rosea, which studies suggested could help block some of the negative side effects of stress, such as decreased focus and memory. The new formula replaces rhodiola with an herb called ashwagandha because, according to HVMN, there’s more emerging scientific data to support its benefits over rhodiola. Similarly, some aspects of the formulas for “Kado,” “Sprint,” and “Yawn” also changed based on newer data and feedback from researchers and athletes. The new lineup went on sale on Thursday. Next, the company plans to do more work with individual elite athletes like Vittoria Bussi. Woo said he’d love for the company to have a rhythm where they do something like Bussi’s “the hour” challenge once a year. And although Bussi was successful in her attempt at breaking a world record, Woo looks forward to a time when these kinds of HVMN-sponsored attempts don’t come away with such positive results. “We’d happily be at a point where half our attempts fail. If they’re all successful we’re obviously not pushing hard enough,” Woo said.